Free, No ads, No in-app purchases. Wander around the museum filled with YOUR art using on-screen joysticks, or dive into VR mode with a Cardboard-like headset and an external controller. Unique galleries that are as much art as the frames on the walls, including a solar system you can walk around in. More galleries and interactions planned. The Android app is compatible with a VR headset and a bluetooth controller, but not required. 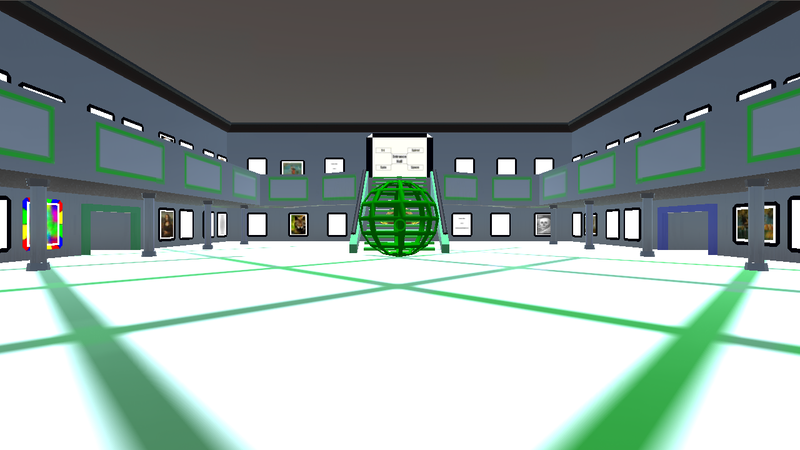 The PC application lets you walk around the museum with mouse and WASD like a standard FPS. The PC build also has theoretical SteamVR and Windows Mixed Reality Headset support, and should detect automagically, but I currently have no way of testing. Let me know if you try it. Submit your drawings, paintings, doodles, poetry and 3d models here to display your art on these walls, along with info that will allow people to see more of your work. The museum currently includes art that I found with a “public domain” web search. If you happen to find your art, let me know and I’ll remove it, or give me info to display with it, if you would rather it kept around when I get more real art.